Directly inspired by the SFX, the SFX Team offers extra high performance technologies for ultra light, ultra smooth footwork. Performance and ergonomics for women! 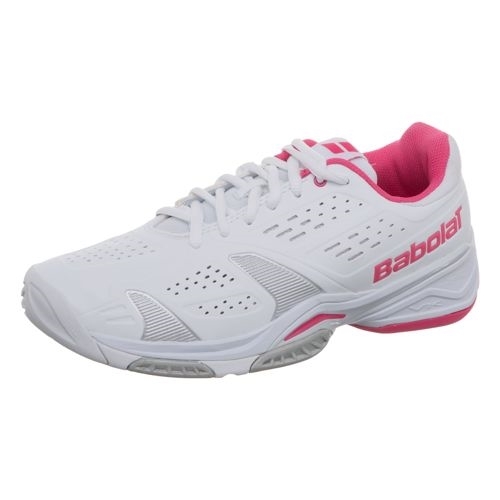 Developed in collaboration with Michelin researchers, and directly inspired by road rally tyres, Babolat outsoles are designed to give players long-lasting, exceptional performance. 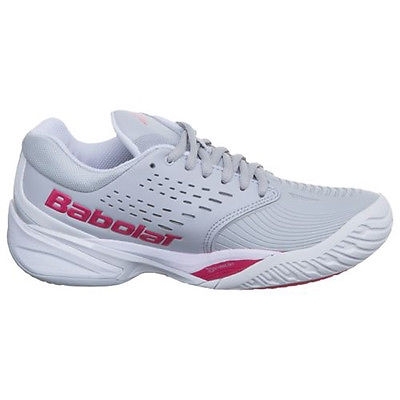 The outsole’s shape and thickness, specific sculptures and rubber make-up are all important variables that make the outsoles of Babolat tennis shoes so outstanding. high-performance shock absorption thanks to the TPR (Thermo Plastic Rubber) tube compressing system. A HIGH PERFORMANCE UPPER MADE WITH CELLULAR MATERIAL THAT STANDS UP TO EVEN THE TOUGHEST ABRASION WHILE PROVIDING EXCELLENT COMFORT. Material with variable density depending on the zones: thicker where there’s more wear, and thinner where there’s more bending, with ultra high performance mesh for long lasting ventilation and more natural foot flex. 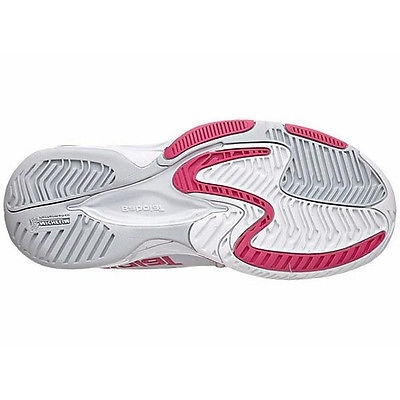 A PROVEN EFFECTIVE SHOCK-ABSORBING HEEL ! Exceptional comfort and shock protection.